Sunrise Family Medical (Happy Valley) - Book Appointment Online! OUR MISSION In the times of confusing, ever-changing, impersonal health care, we offer warmth, respect and direct human contact in combination with modern medicine. 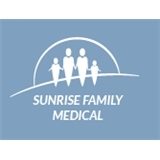 VISION To help everyone enjoy healthier and happier life VALUES At Sunrise Family Medical, we strive to build trusting relationships with each patient and deliver high quality, dignifying care. We want not only to be exceptional health care providers, but also advisors and advocates, helping each patient make well-informed decisions regarding their health and lifestyle. I was nervous at first because I’m shy but as soon as she walked in I was happy with her. She’s very happy and nice! But also very straight to the point. In all my years of going to the doctor I have never been educated so well on what is wrong with me and what to do to get better and further prevent issues in the future. I will be coming back. Seemed very knowledgeable and attentive about my reason for visiting the doctor, I would definitely recommend her!